The first major break for 9ice came from his first single title Little Money and not long after then he did collaborations with different Nigerian artist that immediately prompted the release of another hit single title Ganja Man. Id.Cabasa produced Ganja Man which was released with other songs in March 2006. The reggae tone and playful style of the song made it an instant hit. 9ICE released different kinds of hit songs in his first album made by him and his producer I.D cabasa, the biggest hit among the songs in the album was GONGO ASO which was one of the biggest single of the year in 2007 after winning multiple awards with same song same year. 9ice first album did so well which brings about the songs like Little Money, Ganja Man, Make Dem Talk and Music Daddy. Gongo Aso’ which became the title of his second album. In that effort, 9ice recorded songs covering success, originality, partying and women, as well as themes on the institution of marriage and gratitude. It got to the media that the star singer left the record label “CODED TUNES” which brought him to stardom which belongs to I.D cabasa but after 9ice departure it was said they both had a fight for a longtime before they later made it known they are doing cool saying the’ve moved on. 9ice earned himself a position among the top reigning musicians ever in the industry as he always give his fans multiple hits since his break into the industry which actually has got him a lot of reputation and more fans. He later found his own record company and release all other album under his label ALapomeji Records. Since late 2007 9ice has featured prominently across Nigerian campuses in the Soundcity/MTN Campus Blast tours, Mandela’s 90th birthday in London (Hyde Park), Lets Go There Tour With Ariya Entertainment in NY, LA, Chicago, Houston, Maryland 2008, Star Mega Jam 2007 – 2010, London Troxy 2008, 2010. 9ice performed at the Nelson Mandela 90th Birthday Tribute concert (singing “Gongo Aso”) in London on 27 June 2008. All these shows and concerts were sold-out events. He also headlined sold out shows in the Netherlands and Malaysia in October 2010 to mark his country’s 50 years independence anniversary. 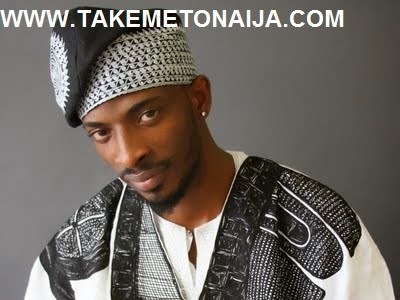 2010 was also the year which 9ice embarked on a European tour covering some parts of Italy, Spain and Switzerland. 9ice also performed live in Cyprus at Lions garden where many if not all the Nigerian students where in attendance. 9ice is known for his use of the Yoruba language in his music, but mixes the Yoruba proverbs with English, broken English, Hausa and Ibo sometimes. 9ice compares himself to Youssou N’Dour who has won a couple of Grammy with music recorded in his mother tongue, and Yvonne Chaka-Chaka whose music has also embraced her language. He has been quoted as saying “English language has been imposed on us but God graciously gave Yoruba language to us. Singer 9ice was married to Tony Payne a marriage which later came to an end in 2010 after it was figured she was involved in infidelity. It was revealled that the couple broke up because 9ice heard that Tony had dated lots of people in the music industry without telling him. A source in the music industry revealed that before their marriage, Tony dated quite a number of prominent musicians and one particular producer but failed to tell 9ice. Unknown to 9ice she had also dated some of his friends too and it was not until after a year into the marriage he discovered. The incident led to constant arguments and eventually ended their marriage. In 2014 9ice said he was quitting music for politics he went for the House Of Reps but he was defeated in the primaries even though he had a lot of supports from fans and lovers. A video showing the singer involved in a street fight surfaced online during his campaign to become a rep.